The three-day family reunion ended yesterday. 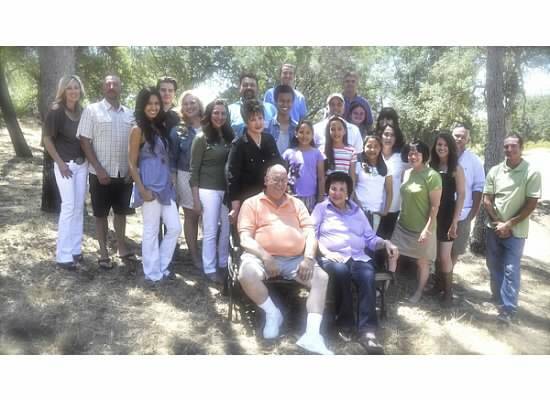 Family members traveled from all over California for the weekend-long event to celebrate our parents’ birthdays. 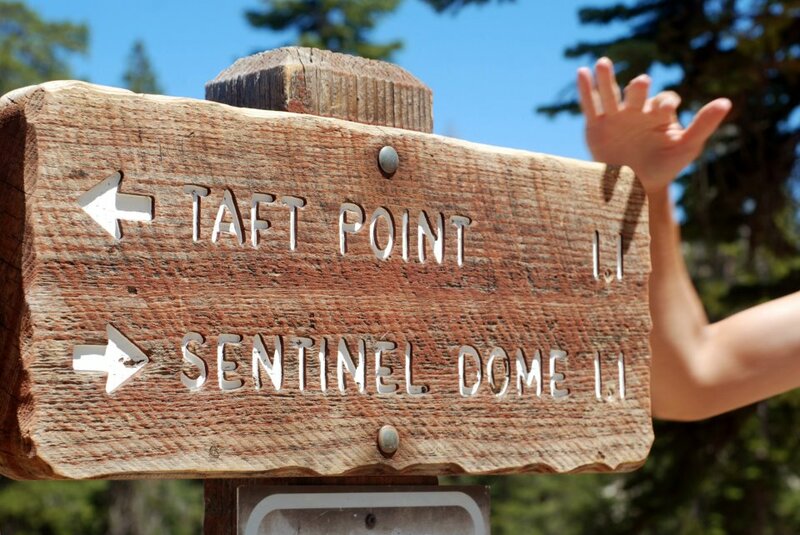 Today’s hike to Sentinel Dome was a rare treat. Four of the kids stayed an extra day and our two youngest children were home from college. It isn’t often we are all together. We drove up Glacier Point Road to the small parking area on the left arriving too late to get a spot in the lot; but there were many areas along the roadside to park. 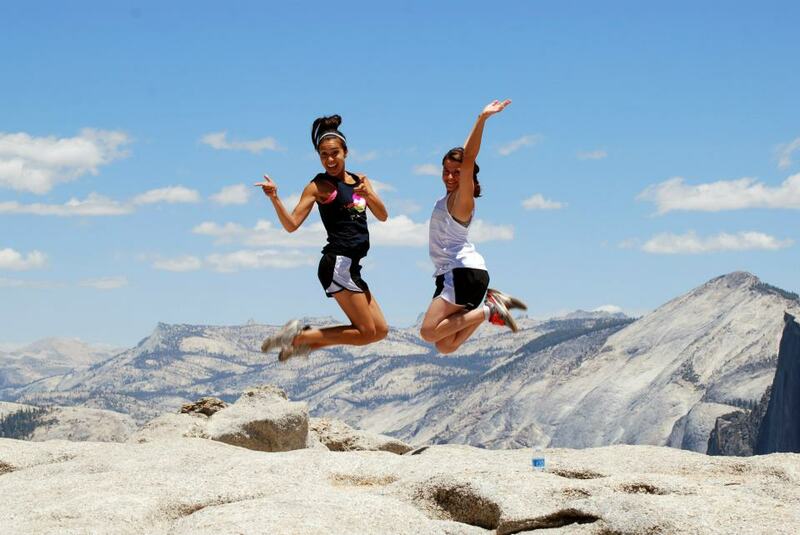 Take note: Make sure you heed the speed limit on Glacier Point Drive. During summer the Park Police are out in force to ticket speeders…we know this by experience having received one ourselves. Nephew Anthony smiles for the camera. Julia and Chris (photograph by Anthony). It was noon as we walked up the trail. Mariposa lilies bloomed adding touch of white to the path. 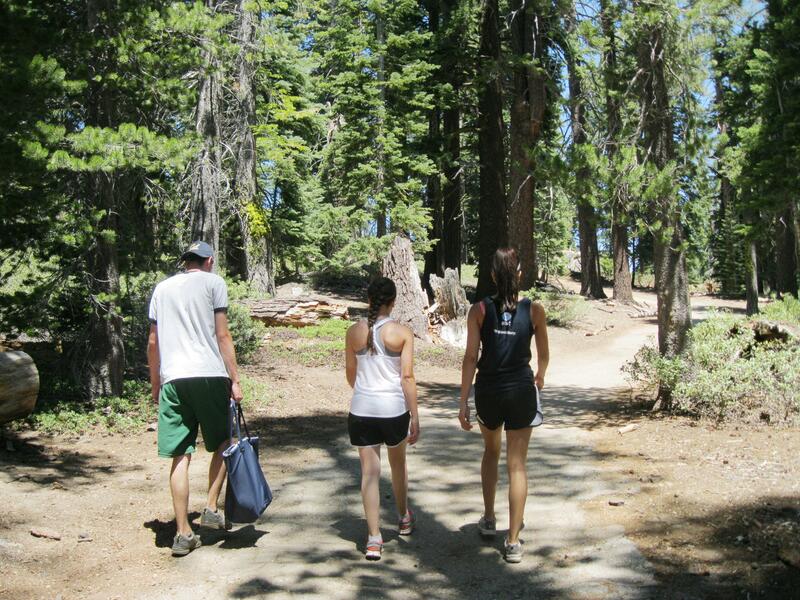 Andrew, Julia, and Jasmine walking through the forest. 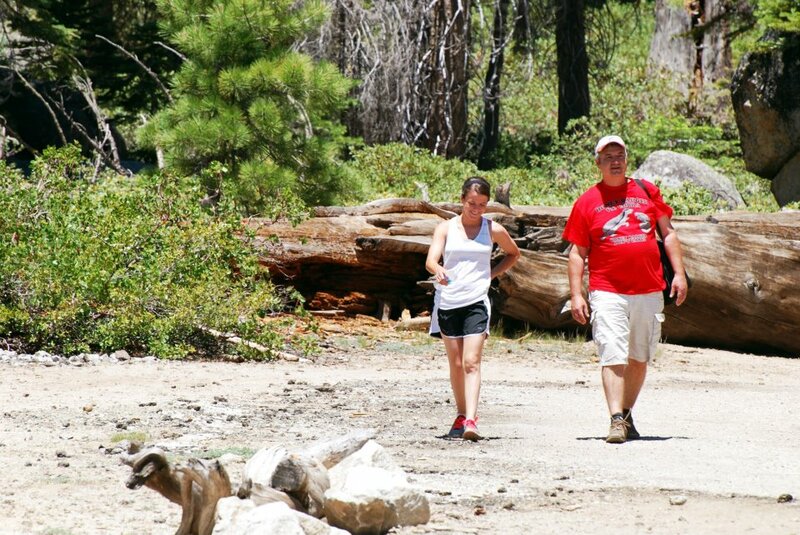 The weather was about 20 degrees cooler than at home which made for a pleasant hike. The YCC kids (Youth Conservation Corps) were out doing trail work in the sun. I’m sure they appreciated the cool breeze that blew through the trees. The slightly uphill trail was rocky in places, but easy to negotiate. We saw many hikers on this short walk. 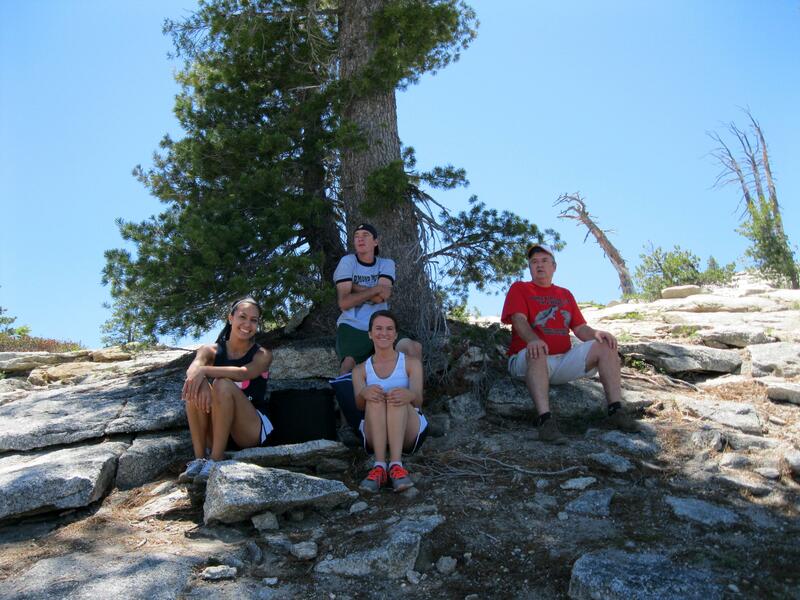 Before climbing the dome, we found a tree providing shade for our picnic. We gazed down on the valley below; looked across at the depleted Yosemite Falls; and stared at the giant granite monolith, El Capitan. There was nary a cloud in the blue sky and we could see many of the High Sierra peaks in the distance. 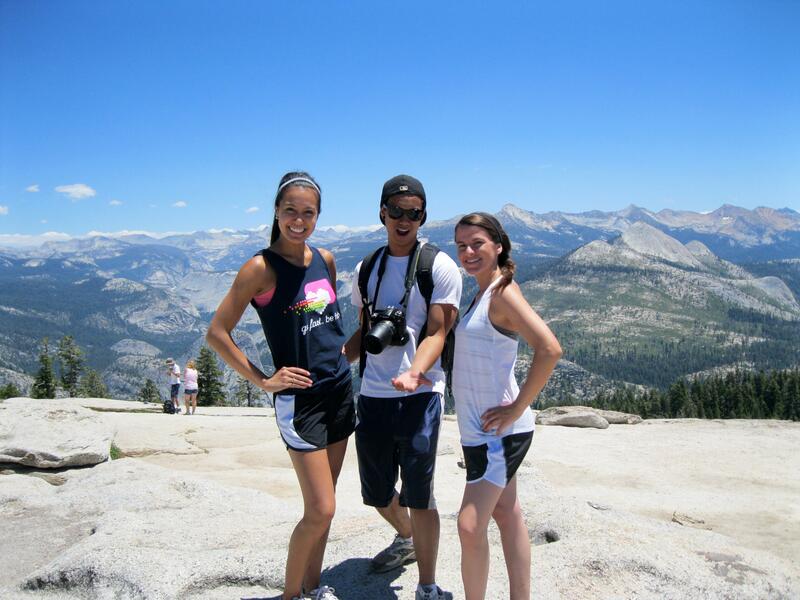 Four of us climbed to the top of Sentinel Dome while the others sat enjoying the reprieve from the heat. 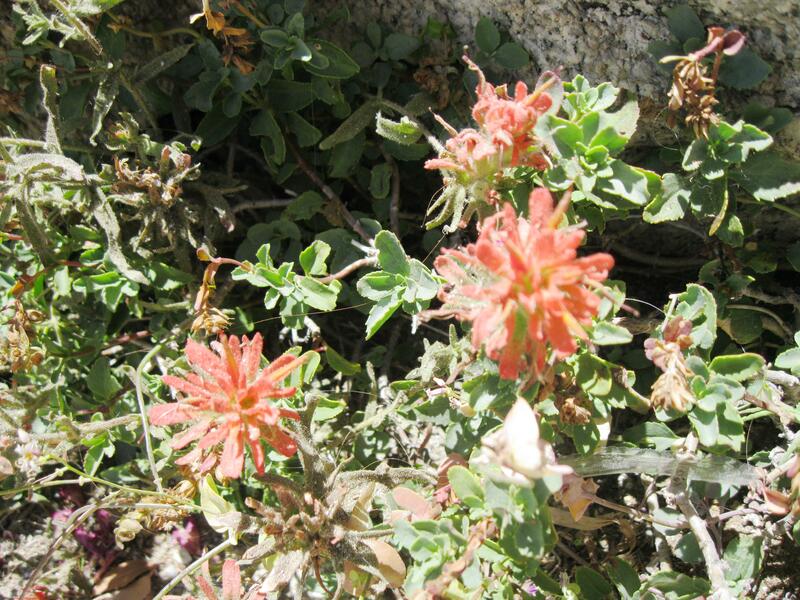 Patches of mountain pride and a small section of Indian paintbrush adorned the top of the dome. The panoramic view was spectacular. 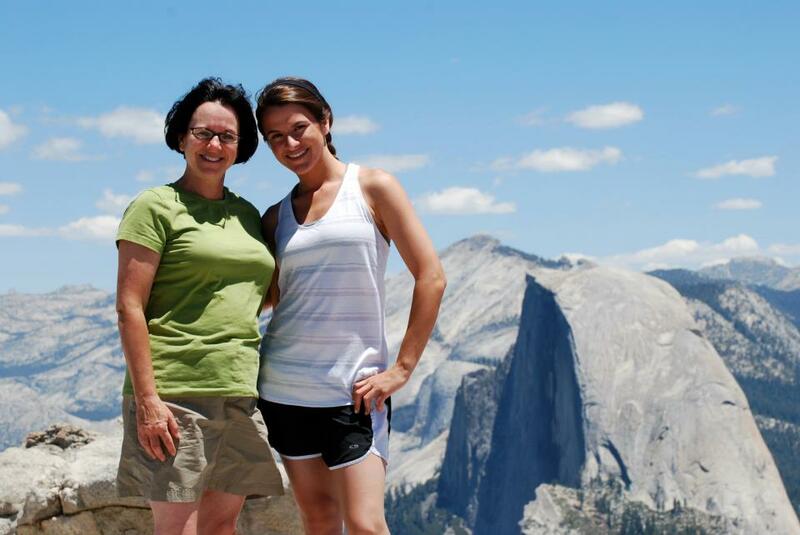 Half Dome was the star. 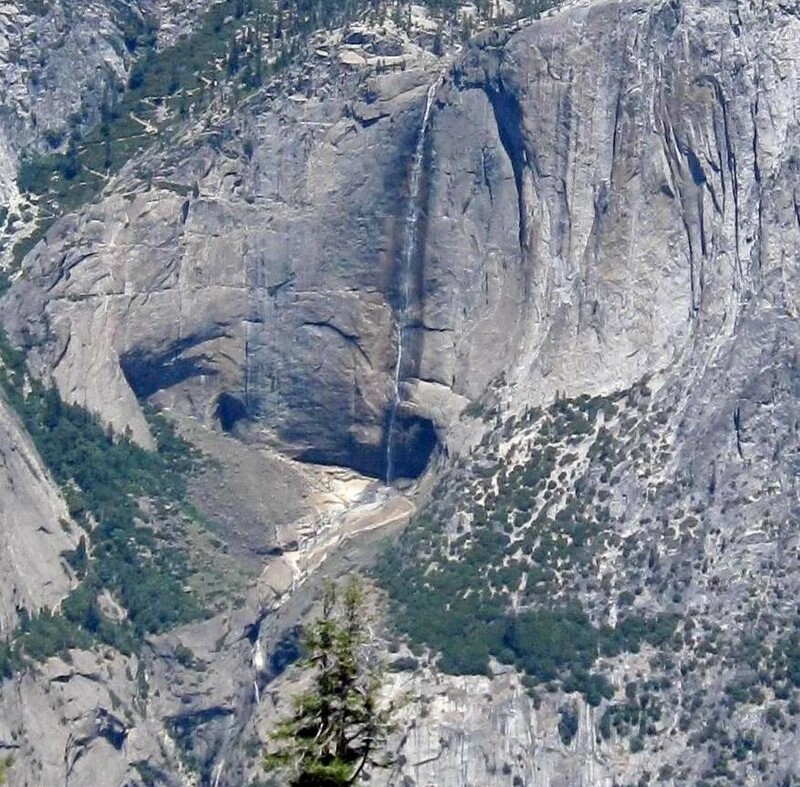 We also saw Nevada Fall, which appeared to have much more water than the shrinking stream of Yosemite Falls. Niece Jasmine and nephew Anthony. Elevation: 8100 feet. Anthony, a skilled photographer, took many photographs with his professional-looking camera. My shiny red point-and-click version seemed like a toy next to his. Janet and Julia (photograph by Anthony). 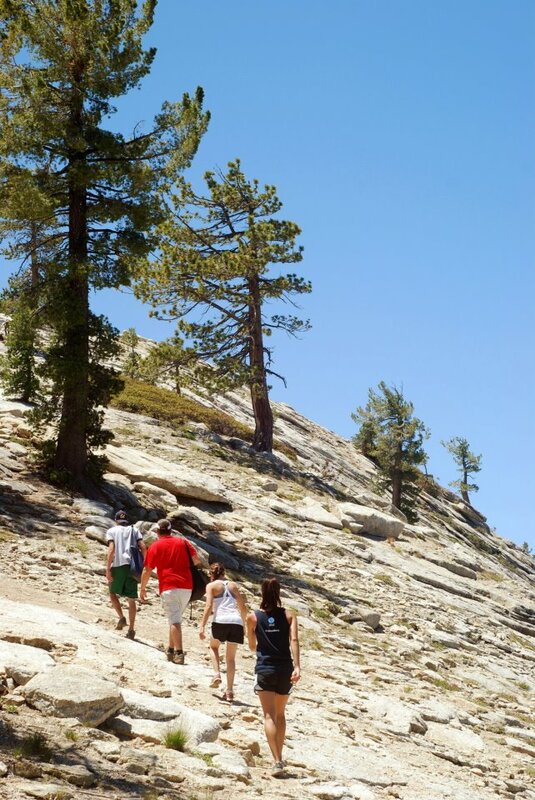 The four of us left the dome, and with the others walked back to the car. Chris and I immensely enjoyed the time spent together with the six kids. 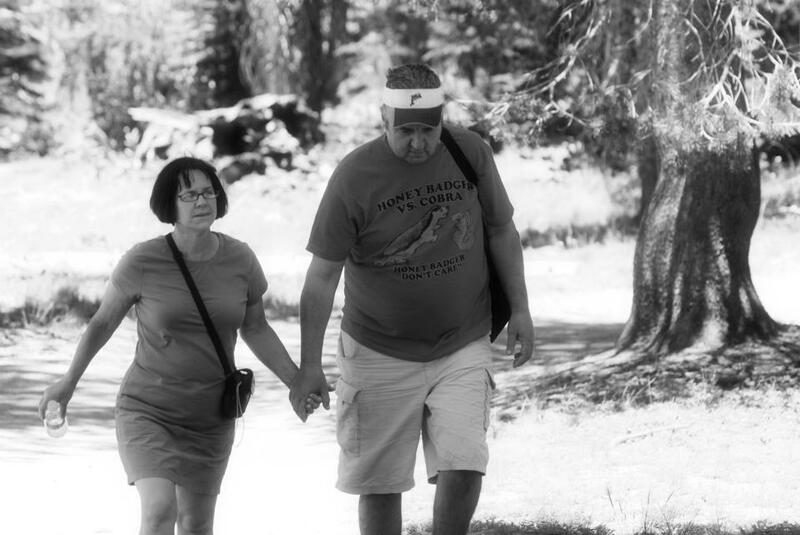 Especially sharing the beauty of Yosemite. 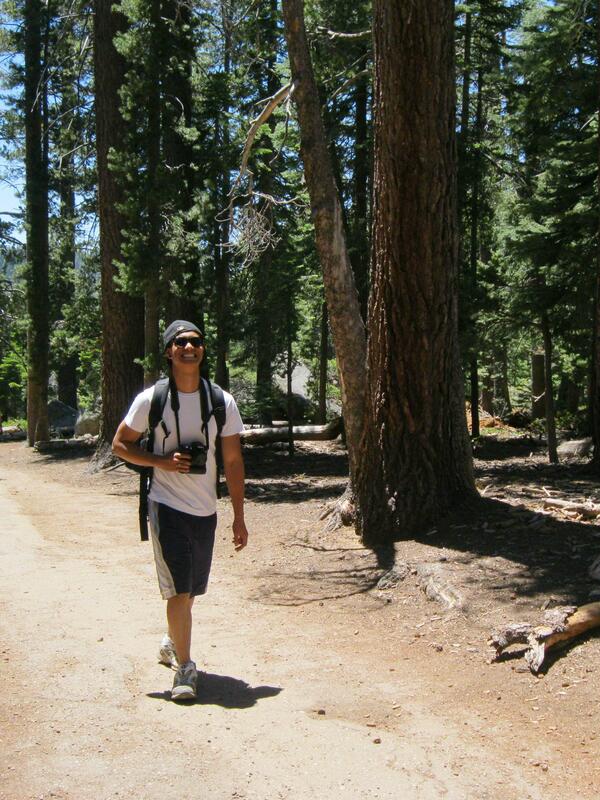 This entry was posted in Yosemite Hikes and tagged Hiking, Sentinel Dome, Yosemite on July 12, 2012 by Janet. I even like going back over the past posts, too. 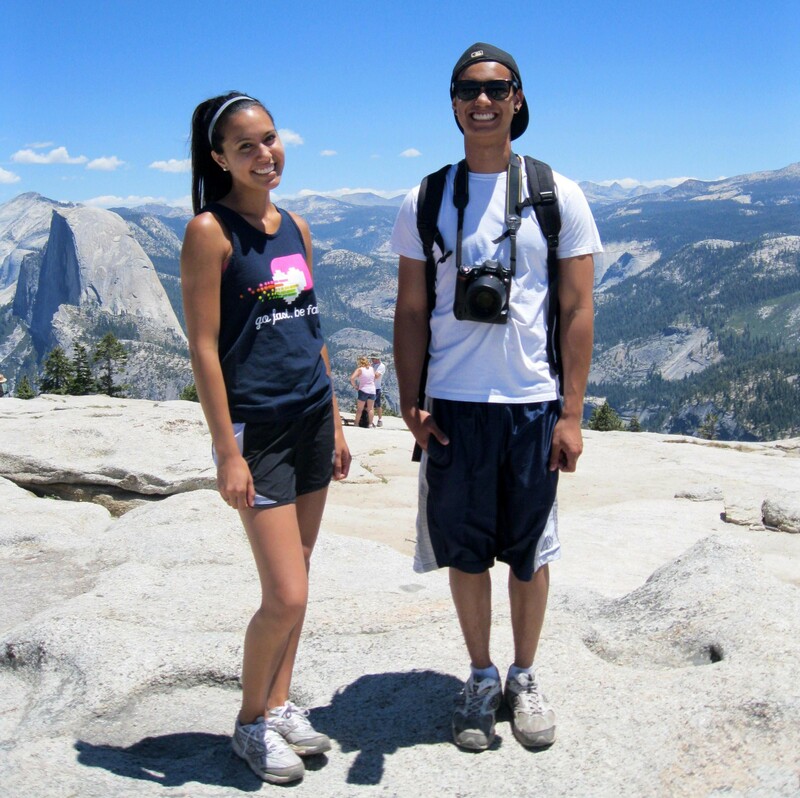 I’m glad Chris, Julia, Jasmine and Anthony were able to share your hiking passion. From all the smiling faces it’s obvious that you had a great time. 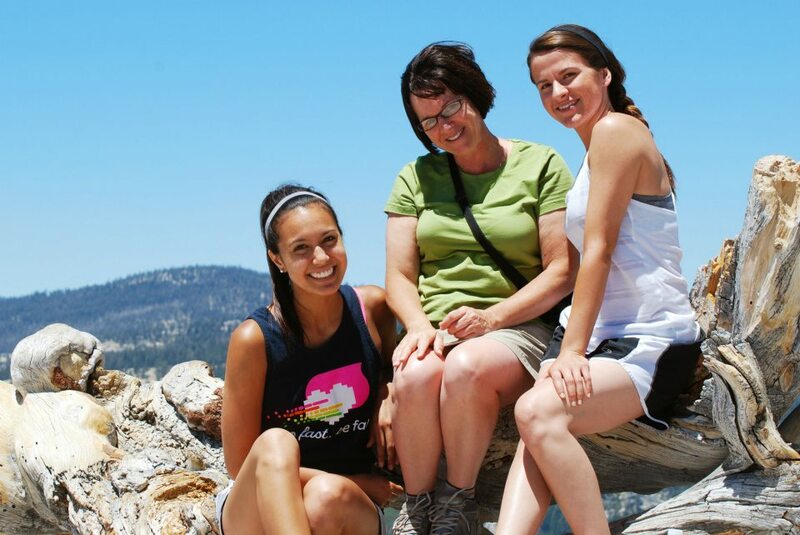 Thanks for taking us, Mom.